45 years of excellence in shearing and bending. Performance, Quality and Service are the three pillars on which Gasparini bases its strategy. Our first and foremost Research Lab are our customer’s production workshops, design offices and meeting rooms. That’s why our products are always born in response to specific and real problems, be it technical or organizational in nature. It’s no accident that we invest 10% of our turnover in innovation: that’s the only way we can help companies to become more efficient and productive. That’s why we have ten engineers uniquely dedicated to design and development. More than 8,000 machines installed worldwide. 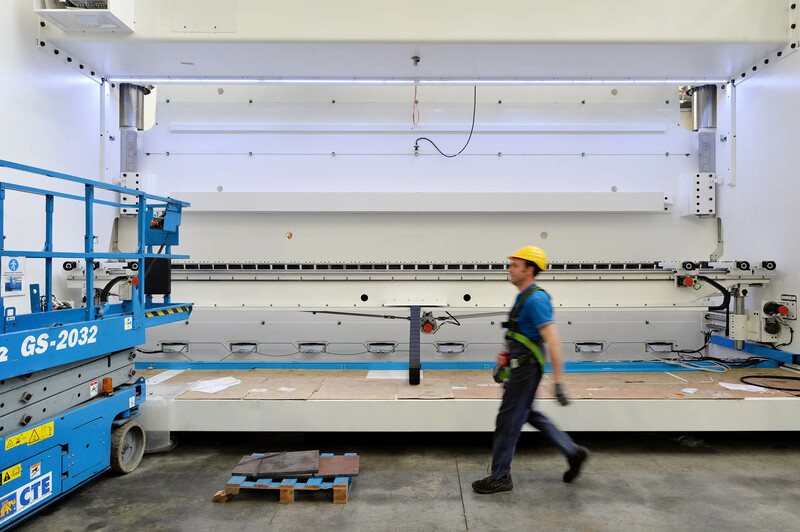 Skilled operators and employees allow for maximum customization and an efficient assistance. We take our team’s cultural assets very seriously. Most of our staff has a technical education and experience, at all company levels. We invest a significant amount of time and resources to bring to market more efficient and precise metalforming technologies, to offer our customers the best solutions available. We offer state-of-the-art in shearing and bending, also thanks to our cooperation with Universities and research centers. 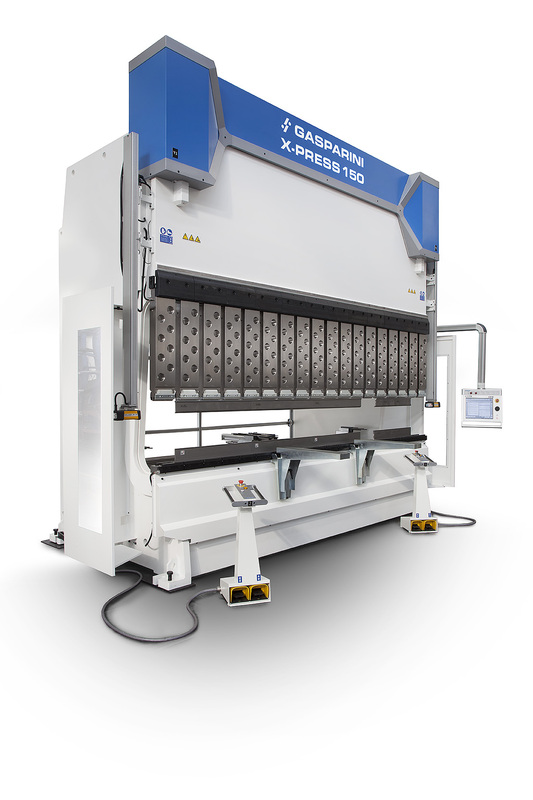 Gasparini offers three main product platforms: press brakes, guillotine shears, and automated lines. All products are positioned at the high end of their specific market, providing a significant technological content, a robust design, together with an user-friendly configuration and a wide range of options and accessories, to customize the machine according to your needs. With this purpose, we have introduced in our organization the “Tech Center Division”, formed by a team of specialists, fully dedicated to analyzing the specific customer needs and to providing the best tailored solution. 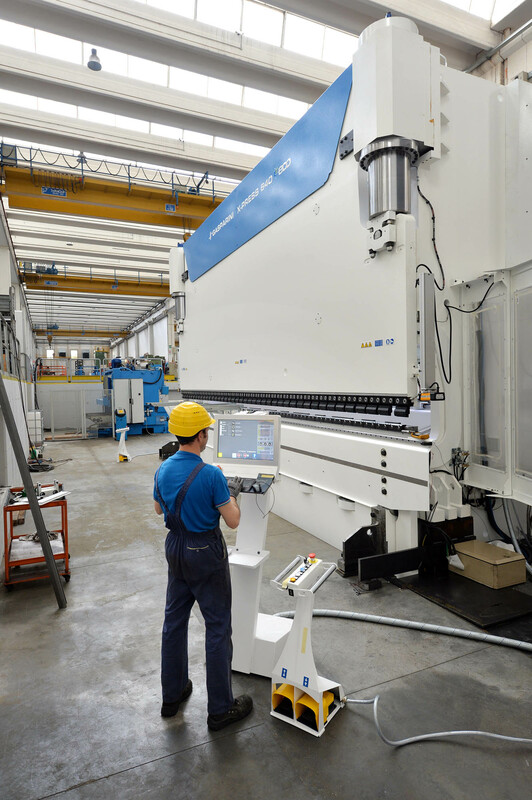 Gasparini machine tools only include Italian, European, and Japanese made parts. We have always been cooperating with the most important international companies to produce innovative machines. EtherCAT servodrives, created with Panasonic Electric Works, are an example. All brands are property of their respective owners.